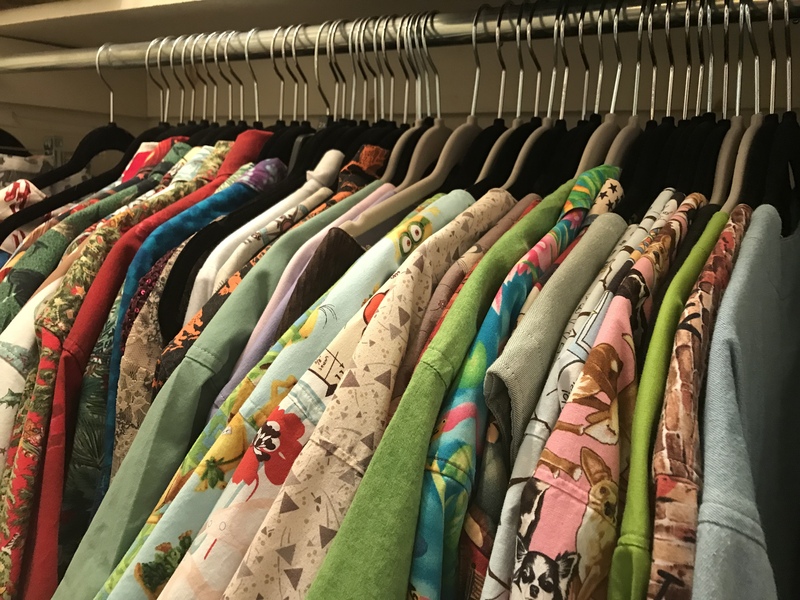 I saw a post on Facebook that asked the question “how many quilts did you make in 2018”. So I went back and started counting. March included my infamous attempt at a mini tuffet , Hunter Star – Tortola from Royal Treasures Book, Scrapodopolis using the first 6 BlockBuster patterns and Whirling Dervish. May was Pillow Possibilities and The Heron. June included A Blast form the Past and Crossfire. July was A Field of Popped V’s & Paris OBW # 64. August included Split Personality and Firefly. September was New Years Star & Sue Nami. October was paper pieced trees wall hanging. December ended the year with Plume OBW #66, Calm Seas & Holiday Tipsy Tree . Phew, I’m tired but I’m already working on more projects. 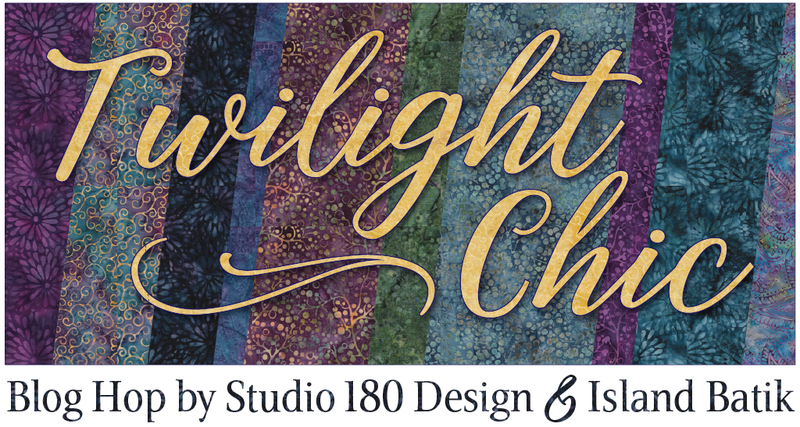 This entry was posted in 2018 in Review, Uncategorized and tagged Deb Tucker, Island Batik, Island Batik Ambassador, One Block Wonders, quilting, Quilts, Studio 180 Design on January 5, 2019 by ifthesethreadscouldtalk. I am very goal oriented. Today is December 23rd and is One Block Wonder Day for me. Tomorrow I bake! I used Plume for my example in my post “Using Panels in a One Block Wonder”. I also used it this fall in several OBW workshops. I wanted to get it finished so it wouldn’t get too beat up. I also cut out two more OBW projects. I’m going to use this panel in workshops to show how I integrate the blocks and the panel. It measures about 13″ x 20″ and will be much easier to work with in class than Plume. It is called Dreamscapes by Ira Kennedy for Northcott. I actually bought 14 panels, 7 panels for the class example and another 7 panels so I can finish one for me. I also cut 6 of these spectacular panels that measure 34″ by 40″. I got 8 strips from these panels which yielded about 144 blocks. This is called Abraham Hunter for Elizabeth’s Studio’s. Not a bad days work finishing Plume and cutting out two more OBW’s. Of course I was supervised by Tucker, as always! Happy Holidays everyone! 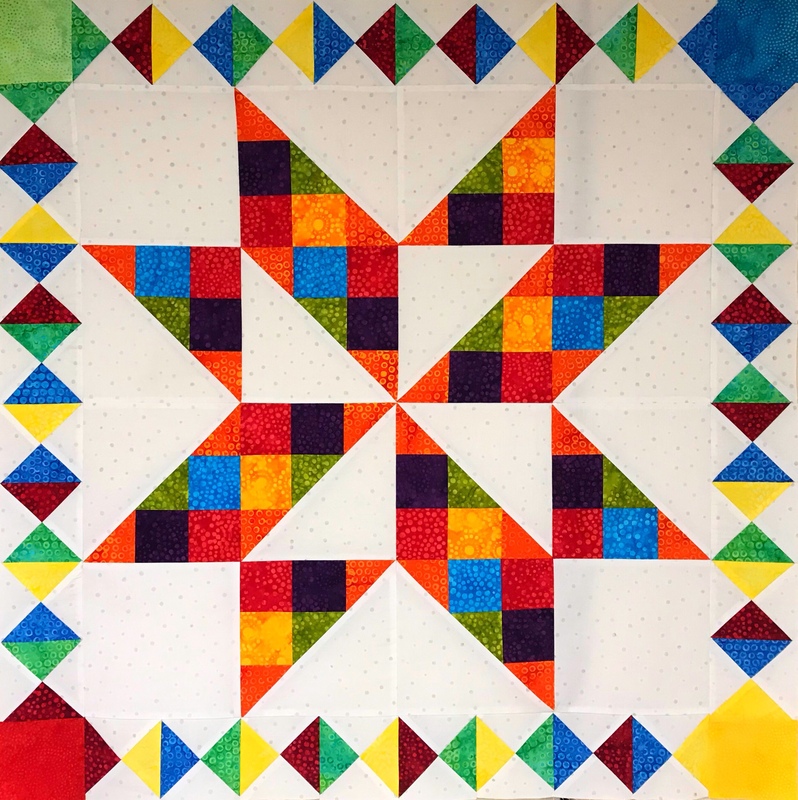 This entry was posted in One Block Wonder and tagged OBW Quilts, OBW's, One Block Wonders, quilting, Quilts, Using Panels on December 23, 2018 by ifthesethreadscouldtalk. I just finished my 65th One Block Wonder “Paisley Cats” by Quilting Treasures. It measures 77″ x 82″. I feel this fabric design was borderline acceptable size for 3.75″ strips. If the print was larger the overall design would have been more dramatic. But the individual blocks are just beautiful. This is a gift I finished just in time! 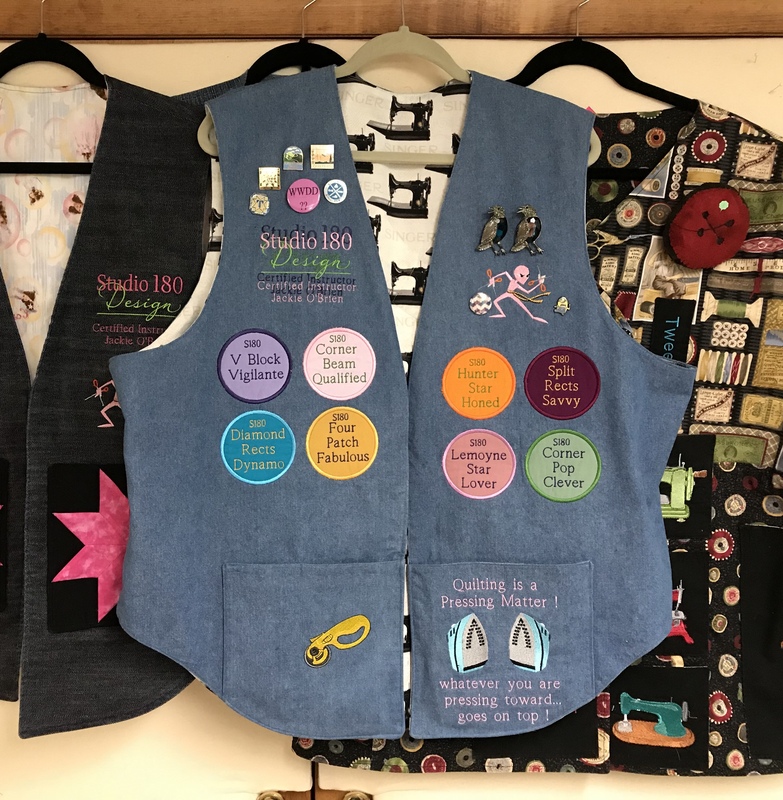 This entry was posted in One Block Wonder and tagged OBW's, One Block Wonders, quilting, Quilts on November 14, 2018 by ifthesethreadscouldtalk. I had this fabric for quite awhile. It is called Paris by Timeless Treasures. I really loved it and wanted to make a One Block Wonder (OBW) with it. While I was making it I wasn’t sure if I liked it for a OBW. Up until today I didn’t care for it. I was sure it would end up gifted. But after finally getting finished and photographed – I love it! It had a 24″ repeat and the print wasn’t too small. Sometimes you have to wait till the quilt is put together to decide if the fabric worked or not. I put it on the daybed in Tuckerville, (Tuckerville is my quilt studio) This is where Tucker (the Mayor of Tuckerville) keeps an eye on me. It is fun to look at how the hexies came together. It took me awhile to get a design I liked! Now onto the next project! 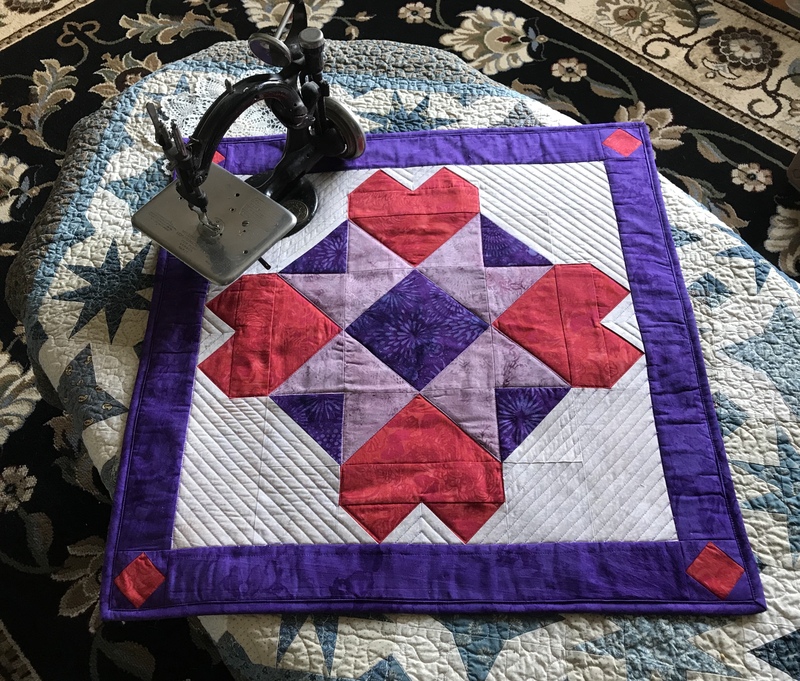 This entry was posted in One Block Wonder and tagged One Block Wonders, quilting, Quilts on July 26, 2018 by ifthesethreadscouldtalk. The Artisan Spirit, Water Garden fabric in this post was given to me by Northcott Fabrics for the Creators Club. This is my 63rd One Block Wonder, and I love it! It came out better than I had anticipated. This OBW started as a 28″ x 42″ panel. When choosing fabric for a One Block Wonder (OBW) I look for a large repeat and a large design in colors that I like. OBW’s require 6 repeats of fabric plus more if you want to put the original fabric in the border. With a panel, the repeat is pre-determined. I bought 7 panels, one to integrate into the top of the quilt and 6 for the blocks. There are several 60 degree rulers out there. I prefer to cut my triangles using a 6″ x 12″ Olfa ruler with a 60 line. 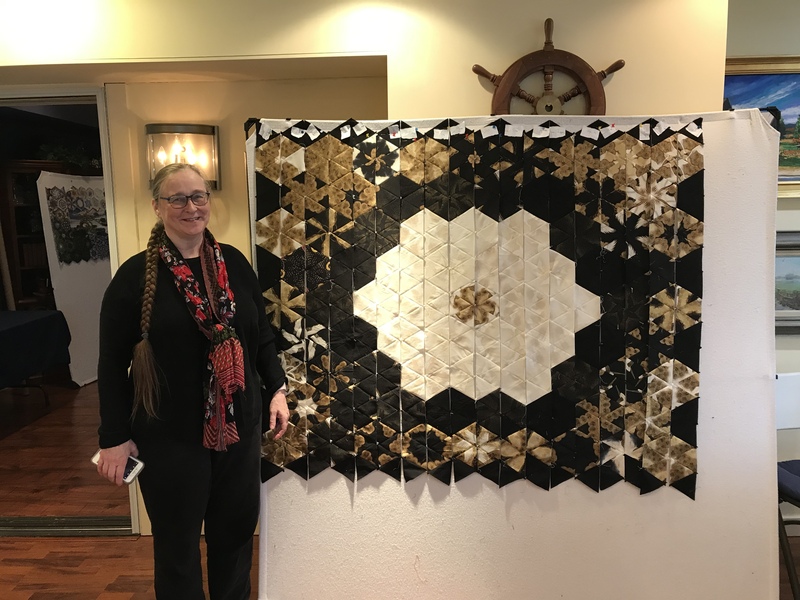 Each stack of six triangles is a kaleidoscope giving you 3 choices on how to stitch your block together. I have free, detailed video tutorials available here on my site and on YouTube that guide you through the process of making a One Block Wonder. Plus you should check out Maxine Rosenthal’s books, One Block Wonder’s, One Block Wonders Encore, One Block Wonders Cubed and One Block Wonders of the World (2 of my OBW’s are included in that book). Usually I wait till all my blocks are sewn before going to the design wall. I was so excited that every few blocks I had to start designing. When constructing OBW blocks, you stitch 3 triangles together, pressing all seams open and then sew the other 3 triangles together. DO NOT sew the center seam. Simply overlap the halves at the center and pin it. My goal with this panel was to design it so it seemed the colors were swirling right off the panel. Once you have a design you like it’s time to sew the blocks into rows. Un-pin the blocks one row at a time and sew into rows, press all seams open. I love my pressing stick. It makes it much easier to press all the seams open without disturbing what was previously pressed. Stitch your rows together. I love my Clover Fork Pins. They are thin and grip and hold the fabric in place. Did I tell you to press all seams open? That pressing stick really helps. Putting together a One Block Wonder made using a panel in the quilt top is a little trickier than with just stitched rows. I divided rows into four sections to attach them to the panel. It is like making a log cabin block. I wanted the rows to attach in certain places so color seemed as though it continued right off the panel. I began by trimming the bottom section first and attaching it to the panel. I could now attach the rows to the right to the panel, using a partial seam and leaving room to adjust the top section of triangles and then add the rows to left of the panel. I trimmed the edges of the quilt to square it up. I love it, but still wanted to soften the panel edges. 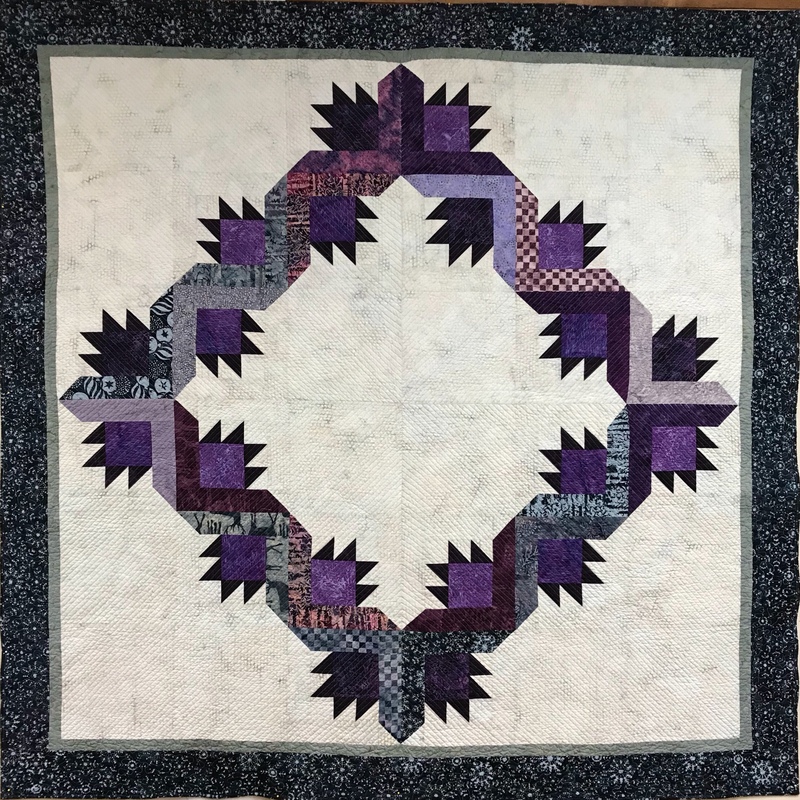 I did not use all the blocks in the quilt top design. I sewed the left over blocks together and trimmed them to make smaller hexagons. I randomly placed them along the edges of the panel and appliqued them down. The finished quilt measures 60″ x 68″. I did not feel it needed a border. Thank you to Northcott Fabrics and Water Garden designer Ira Kennedy. I really love this quilt. 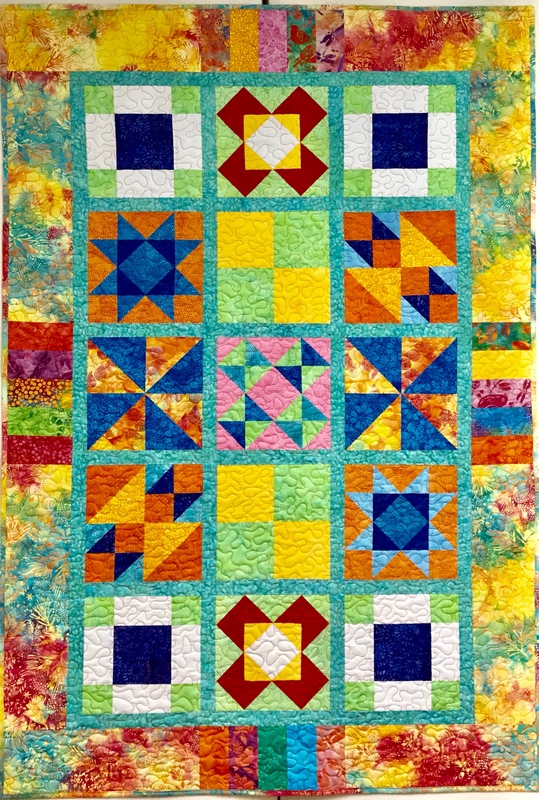 For OBW inspiration check out the Facebook page “One Block Wonder Quilt Forum”. 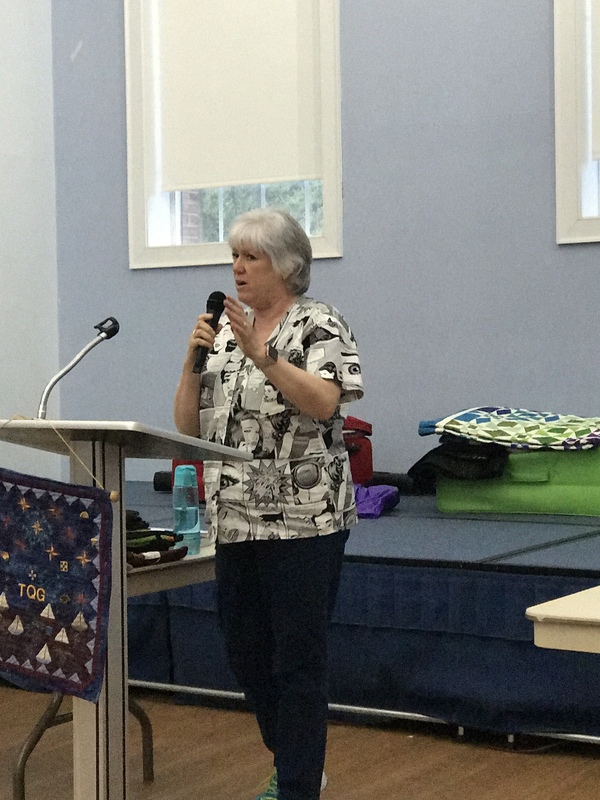 I am available to teach One Block Wonder Workshops. 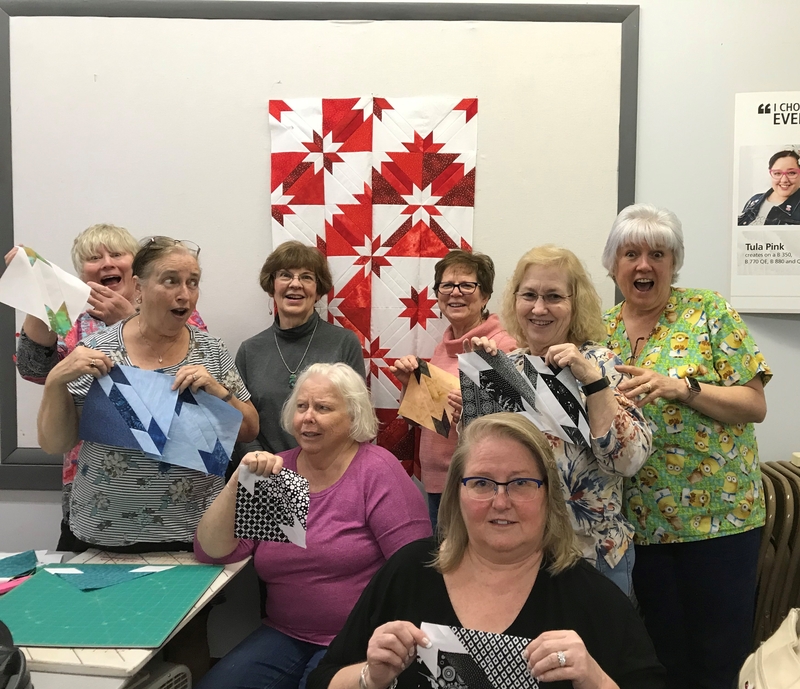 This entry was posted in Hexagon Quilts, Northcott Creator's Club, One Block Wonder and tagged Artisan Spirit, Northcott Fabrics, OBW, One Block Wonders, quilting, Quilts, Water Garden on May 29, 2018 by ifthesethreadscouldtalk.